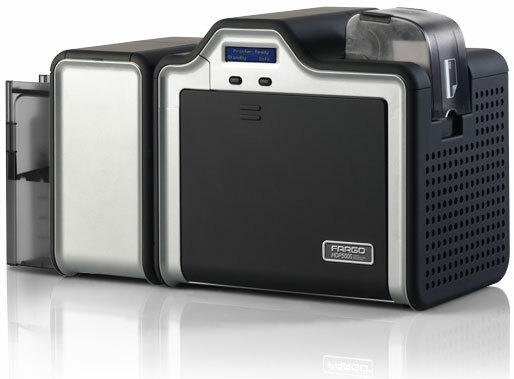 For a Complete ID Solution, What Else Do I Need Besides a Fargo HDP5000? For more information on other ribbons, cards, and software, contact us at BarcodesInc. Do you require a printer that will print on one side or two sides? Does your ID solution require a complete edge to edge print (Reverse Transfer) or can a small border be acceptable (Direct to Card)? Action Ambulance Services provides 24-hour emergency and non-emergency medical services to the people of Eastern Massachusetts from 13 different locations. The identification cards worn by emergency personnel face challenging conditions, not only from temperature extremes and inclement weather, but also from bodily fluids, including blood, of patients being treated. Twelve years ago, the organization began using ID cards for employee identification, but its printer was not able to laminate the cards, nor was it fast enough to keep up with the growing business. Mike Woronka, now Chief Executive Officer of Action Ambulance Services, was responsible for bringing the first ID card printer to the organization. He realized it was time for an upgrade of both the hardware and the software.